Jennie Grant is your average 40-something mother with a bungalow in Seattle’s leafy Madrona neighborhood, a happy middle-school child, a tolerant husband, and a Pug named Eddie. She also happens to keep chickens and two goats, Snowflake and Eloise, and is regionally known as the passionate founder behind the Goat Justice League. 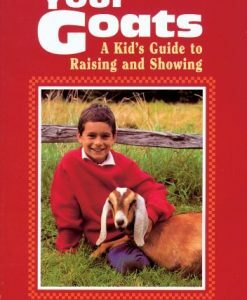 Since Grant began keeping goats several years ago, she has learned firsthand the remarkable benefits and beauty of keeping goats, how much healthier and easier to maintain a yard with goats can be, the tolerance levels of neighbors, the health benefits of non-industrial foods, and how interacting with goats inspires a connection to nature. 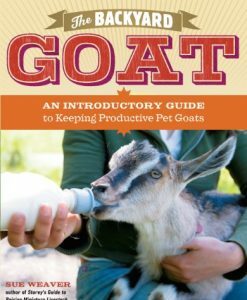 City Goats: The Goat Justice League’s Guide to Urban Goat Keeping is her step-by-step guide on raising a pair of dairy goats in your urban or suburban backyard, from city zoning and selecting goats to setting up your yard, building a shed, feeding and caring, kidding, and milking. 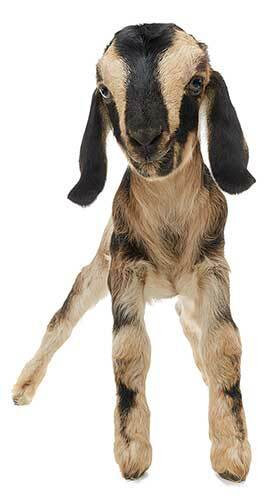 Practical and at times comical (just like a goat! 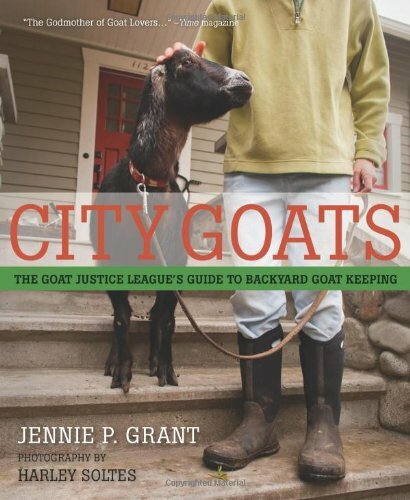 ), connected both to nature and city, and slightly rebellious- City Goats: The Goat Justice League’s Guide to Urban Goat Keeping is a book for gardeners, people committed to eating locally, and anyone who has ever pondered joining the backyard goat revolution.